Should Evangelicals Be Blamed for the Orlando Attacks? More likely than not, we will never penetrate the psyche of Omar Mateen. The numerous anecdotes reported in the press do not provide us with a coherent biography. 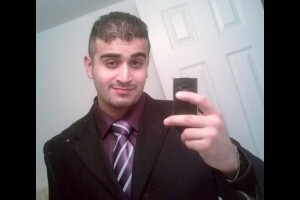 He may have been an intolerant Islamist, a bully, an outsider, a tortured homosexual or merely mentally ill. Part of the problem is that Mateen seems to have been unsure of his own worldview; at different times he claimed to have supported Al-Quaeda, ISIL and Hezbollah – groups which are violently opposed to one another. While we know that in the last moments of his life he claimed allegiance to violent Islamic extremism, we may never know why he chose to identify with this particular belief system. But this is a worldview which could shroud the carnage in Orlando with an aura of heroism and martyrdom. Mateen had struck a blow against a symbol of Western decadence and hypocrisy, in the minds of many of America’s enemies, by attacking a gay nightclub. There simply is no doubt that this was a crime of hatred. How much hatred Mateen felt is beside the point. In Black Earth: The Holocaust as History and Warning Timothy Snyder warns us that forces hostile to the West have generated a new global scapegoat: “the homosexuals”. The idea of a “gay lobby” responsible for the decadence of the world makes no more sense than the old Nazi idea of a Jewish lobby, but such an ideology is now at large in the world and it is not confined to Islamism. Snyder blames Putin’s Moscow for popularising the myth, but we should note that African political movements made use of it long before the Russian government. We have returned to forms of thinking which blame global phenomena – wars, global warming, economic crises – on a particular vulnerable group. It is the worst kind of ignorant madness but for many, when Mateen struck at this group he struck a blow against Western values. This is chilling. But we should also be concerned that the Western elites have also spied convenient scapegoats. Donald Trump, who increasingly acts like a mongrelised descendent of Joe McCarthy, George Wallace and PT Barnum, has simply blamed “the Muslims”. Most commentators have correctly denounced this as crass bigotry. However, many of those same commentators have wondered if conservative Christians do not also share in Mateen’s blood guilt. Even the BBC, no less, warns Christians that traditional sexual ethics can cause “internalised homophobia”. Ilan Meyer, a senior scholar for public policy and sexual orientation law at the University of California, Los Angeles explains that this occurs when someone with homosexual feelings absorbs the values of a belief system which rejects homosexual behaviour. Intolerance can be covertly communicated, perhaps through slurs or pejorative statements such as “that’s so gay”, or overtly, such as bullying or anti-gay teachings in religions that do not accept LGBT rights….Certainly in the evangelical Christian community in the US, for example, if you went to church every week you could learn horrible things. The casual reader would be forgiven for thinking that the BBC’s article is blaming evangelicals for the events in “The Pulse” nightclub. But tucked away at the end of a long article, underneath two videos, Meyer makes a brief admission: “there is not enough research to prove a direct link between internalised homophobia and violent behaviour.” In other words, Meyer has little more than an untested hypothesis. After 1100 words and three minutes of video, the Beeb admits that questions about Mateen’s sexuality, and his attitude to his sexuality, must “remain unanswered”. Still, the article implies that traditional sexual ethics should be viewed with suspicion and treated with caution. Here, something reminiscent of fascism seems to be at work. A social elite has used the mainstream media and carefully selected scholarship to accuse conservative Christians of a thought crime. By their own admission, there is no evidence that their sexual morality is to blame for violence towards homosexuals. But some day we might find such evidence. Therefore we are guilty as charged. The target is different and the attack more eloquent, but the logic is no different than Trump’s. We do not share the values and traditions of a certain group; therefore, we must exclude it. We don’t need no stinkin’ evidence. We’re winners: we’re on the right side of history; we know better.It does not matter that Christians are not merely forbidden to express, but even to feel, hatred. Those who hold to traditional religious beliefs are oppressors who must be shamed and vilified. The search for familiar scapegoats distracts us from the victims of the attack on the Pulse nightclub; we forget that the attack in Orlando was not the inevitable result of unquantifiable social forces, but a premeditated act of pure hate. Above all, we miss the bloody rebirth of a fascist mythology which would blame all the woes of the world on one small and vulnerable minority.